Original printed wrappers. With photographic frontis. portrait, iin very good condition. Tight and clean. 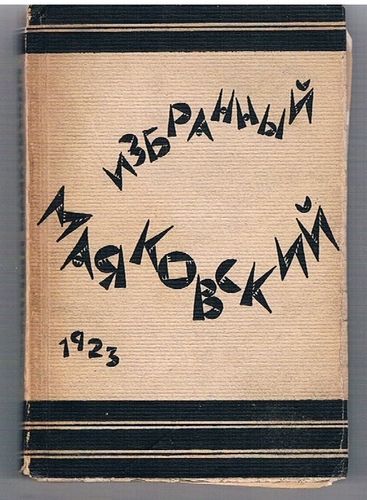 From Hélène Heinsdorf's library (Could be the Polish journalist Helene Heinsdorf-Lewinson? See Sonderfahndungsliste G.B.). 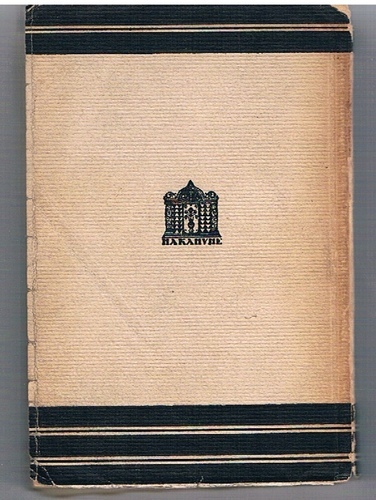 ; Contents: Revolutsiya, Lirika, Satira, Oblako v shtanakh, Chelovek, 150.000.000, Pyaty international 8 chastei. Nakanune, a Berlin based Russian newspaper was funded by Moscow; the Soviet Government being eager to entice intellectuals back to Russia. 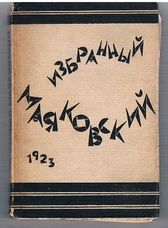 Whilst visiting Berlin in 1922, Mayakovsky had a contract with Nakanune for a selection of his poetry.